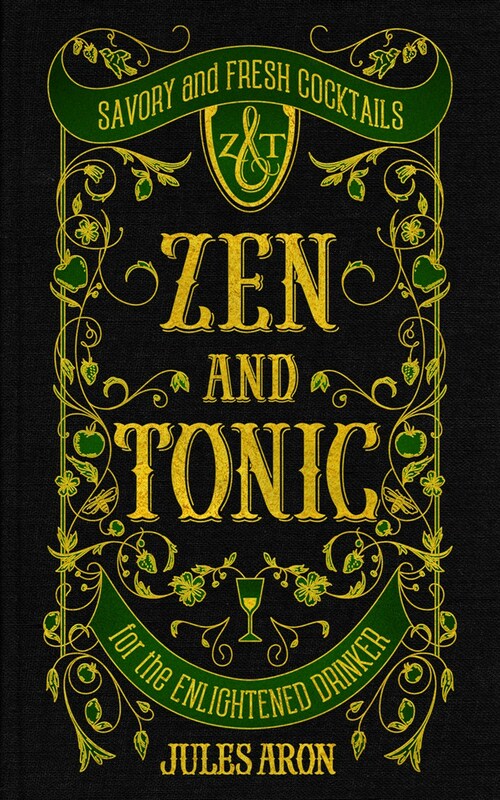 Meet my new favorite cocktail book, Zen and Tonic by Jules Aron. Beyond the enchanting cover you’ll see it’s filled with “garden-to-glass” recipes that combine booze with superfoods, fruity tinctures and herbal infusions. 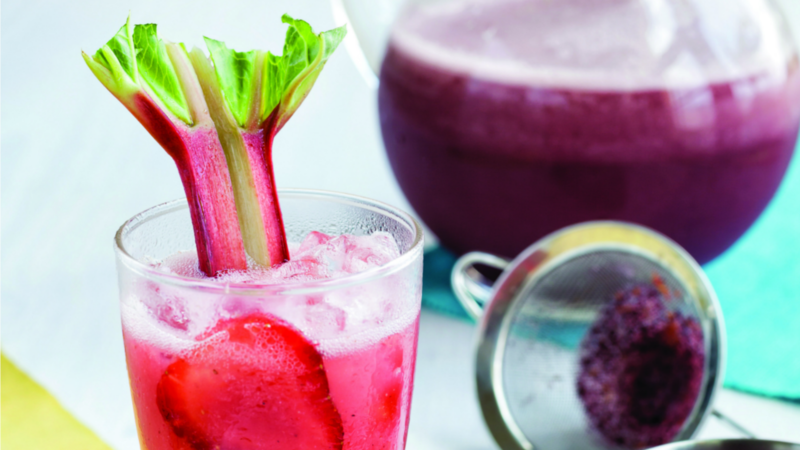 It was hard to pick just one recipe to feature, until we spotted the perfect spring cocktail. 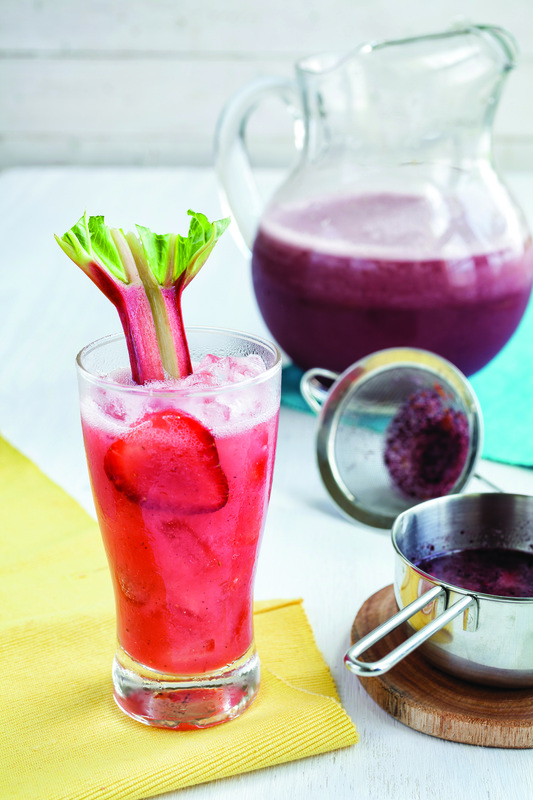 Welcome spring the right way with this bright, colorful punch. Kombucha is an age-old fermented tea drink that has been around for centuries. It contains a variety of vitamins, minerals and enzymes, and has been prized by traditional cultures for its health-promoting properties, including liver detoxification, digestion and nutrient assimilation. In a saucepan, bring the water, raspberries, rhubarb and strawberries to a boil. Lower the heat, and simmer for 15 minutes. Strain through a sieve, pressing to extract all the liquid. Discard the solids. Chill. Using a juicer, process the beets and lemon. Place in a punch bowl, and whisk in the chilled fruit mixture. Add the rose syrup and whiskey. Top off with the kombucha for some extra effervescence. Steep the raspberries and rose petals in the boiling water for 15 minutes. Strain and lightly squeeze to extract any excess water. Add the rose water and honey, and stir until dissolved. Strain into a clean jar, cover, and keep refrigerated for up to 2 weeks. Aron recommends pairing this punch with an organic American rye whiskey such as Workhorse Rye’s Palehorse, Greenbar Distillery’s Slow Hand white whiskey or Koval’s millet whiskey.